CWNP hosts a fast-paced Twitter chat every 2nd and 4th Tuesday of the month at 1pm EST for forty-five minutes. 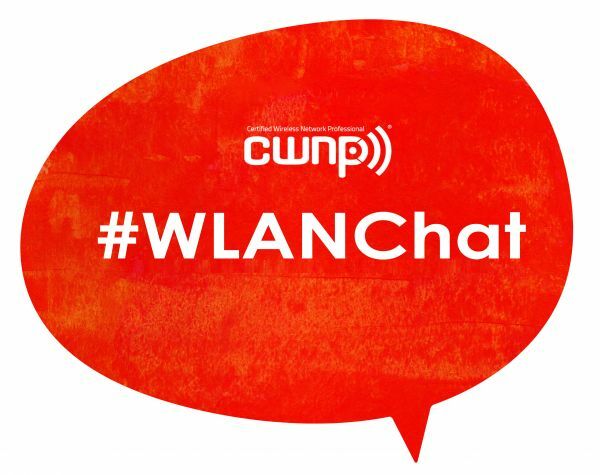 The live chat covers various WLAN topics and helps bring community members together to ask questions and share knowledge. Have a question you want to be discussed in a future Twitter Chat? Tell us what you want to talk about! If you are not familiar with Twitter Chats, do some research. We suggest starting with: How does a Twitter Chat Work? Questions will be provided every 5-8 minutes with Q1, Q2, Q3, etc. *Pro Tip: Have the hashtag copied to your computer's clipboard to help you join the conversation quickly. If you don't have the hashtag in your Tweet, it will not show up as a part of the chat.